California Department of Parks and Recreation manages 280 park units, which contain the finest and most diverse collection of natural, cultural, and recreational resources to be found within California. These treasures are as diverse as California: From the last stands of primeval redwood forests to vast expanses of fragile desert; from the lofty Sierra Nevada to the broad sandy beaches of our southern coast; and from the opulence of Hearst Castle to the vestiges of colonial Russia. 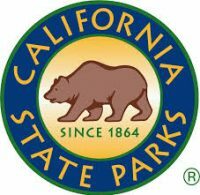 California State Parks contains the largest and most diverse natural and cultural heritage holdings of any state agency in the nation. The State Park System includes State Parks, State Natural Reserves, State Historic Parks, State Historic Monuments, State beaches, State Recreation Areas, State Vehicular Recreation Areas, State Seashores and State Marine Parks. Within the system are Natural and Cultural Preserves, lakes and reservoirs, coastal beaches, historic homes, Spanish era adobe buildings, lighthouses, ghost towns, museums, visitor centers, conference centers, and off-highway vehicle recreation areas. Together, State Park System lands protect and preserve an unparalleled collection of culturally and environmentally sensitive structures and habitats, threatened plant and animal species, ancient Native American sites, historic structures and artifacts… the best of California’s natural and cultural history.